Contact Mercedes-Benz Of Honolulu today for information on dozens of vehicles like this 2019 Mercedes-Benz E-Class E 300. This Mercedes-Benz includes: SPORT PACKAGE *Note - For third party subscriptions or services, please contact the dealer for more information. * There's a level of quality and refinement in this Mercedes-Benz E-Class that you won't find in your average vehicle. Just what you've been looking for. With quality in mind, this vehicle is the perfect addition to take home. There is no reason why you shouldn't buy this Mercedes-Benz E-Class E 300. It is incomparable for the price and quality. This outstanding example of a 2019 Mercedes-Benz E-Class E 300 is offered by Mercedes-Benz Of Honolulu. This Mercedes-Benz includes: SPORT PACKAGE *Note - For third party subscriptions or services, please contact the dealer for more information. * You deserve a vehicle designed for higher expectations. This Mercedes-Benz E-Class delivers with a luxurious, well-appointed interior and world-class engineering. This is the one. Just what you've been looking for. This is about the time when you're saying it is too good to be true, and let us be the one's to tell you, it is absolutely true. Contact Mercedes-Benz Of Honolulu today for information on dozens of vehicles like this 2019 Mercedes-Benz E-Class E 300. This Mercedes-Benz includes: SPORT PACKAGE *Note - For third party subscriptions or services, please contact the dealer for more information. * You appreciate the finer things in life, the vehicle you drive should not be the exception. Style, performance, sophistication is in a class of its own with this stunning Mercedes-Benz E-Class. The Mercedes-Benz E-Class E 300 will provide you with everything you have always wanted in a car -- Quality, Reliability, and Character. This is about the time when you're saying it is too good to be true, and let us be the one's to tell you, it is absolutely true. You can find this 2019 Mercedes-Benz E-Class E 300 and many others like it at Mercedes-Benz Of Maui. Pull up in the vehicle and the valet will want to parked on the front row. This Mercedes-Benz E-Class is the vehicle others dream to own. Don't miss your chance to make it your new ride. The look is unmistakably Mercedes-Benz, the smooth contours and cutting-edge technology of this Mercedes-Benz E-Class E 300 will definitely turn heads. Based on the superb condition of this vehicle, along with the options and color, this Mercedes-Benz E-Class E 300 is sure to sell fast. There is no reason why you shouldn't buy this Mercedes-Benz E-Class E 300. It is incomparable for the price and quality. Contact Mercedes-Benz Of Maui today for information on dozens of vehicles like this 2019 Mercedes-Benz E-Class E 300. There's a level of quality and refinement in this Mercedes-Benz E-Class that you won't find in your average vehicle. The Mercedes-Benz E-Class E 300 will provide you with everything you have always wanted in a car -- Quality, Reliability, and Character. The look is unmistakably Mercedes-Benz, the smooth contours and cutting-edge technology of this Mercedes-Benz E-Class E 300 will definitely turn heads. You could keep looking, but why? You've found the perfect vehicle right here. This 2019 Mercedes-Benz E-Class E 300 is proudly offered by Mercedes-Benz Of Honolulu This Mercedes-Benz includes: SPORT PACKAGE PREMIUM 1 PACKAGE Keyless Start HD Radio Hands-Free Liftgate Satellite Radio Power Door Locks Keyless Entry Remote Trunk Release PARKING ASSISTANCE PACKAGE Automatic Parking Back-Up Camera *Note - For third party subscriptions or services, please contact the dealer for more information. * You deserve a vehicle designed for higher expectations. This Mercedes-Benz E-Class delivers with a luxurious, well-appointed interior and world-class engineering. You could keep looking, but why? You've found the perfect vehicle right here. You can finally stop searching... You've found the one you've been looking for. Contact Mercedes-Benz Of Honolulu today for information on dozens of vehicles like this 2019 Mercedes-Benz E-Class E 300. This Mercedes-Benz includes: SPORT PACKAGE PREMIUM 1 PACKAGE Keyless Start HD Radio Hands-Free Liftgate Satellite Radio Power Door Locks Keyless Entry Remote Trunk Release PARKING ASSISTANCE PACKAGE Automatic Parking Back-Up Camera *Note - For third party subscriptions or services, please contact the dealer for more information. * You appreciate the finer things in life, the vehicle you drive should not be the exception. Style, performance, sophistication is in a class of its own with this stunning Mercedes-Benz E-Class. Just what you've been looking for. With quality in mind, this vehicle is the perfect addition to take home. This is the one. Just what you've been looking for. 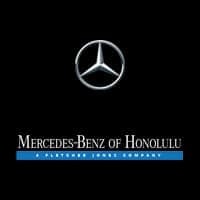 Mercedes-Benz Of Honolulu is excited to offer this 2019 Mercedes-Benz E-Class. This Mercedes-Benz includes: SPORT PACKAGE PREMIUM 1 PACKAGE Keyless Start HD Radio Hands-Free Liftgate Satellite Radio Power Door Locks Keyless Entry Remote Trunk Release PARKING ASSISTANCE PACKAGE Automatic Parking Back-Up Camera *Note - For third party subscriptions or services, please contact the dealer for more information. * You appreciate the finer things in life, the vehicle you drive should not be the exception. Style, performance, sophistication is in a class of its own with this stunning Mercedes-Benz E-Class. Beautiful color combination with Iridium Silver Metallic exterior over Macchiato Beige/Black interior making this the one to own! You can finally stop searching... You've found the one you've been looking for. Contact Mercedes-Benz Of Honolulu today for information on dozens of vehicles like this 2019 Mercedes-Benz E-Class E 300. This Mercedes-Benz includes: AMG LINE EXTERIOR 4-Wheel Disc Brakes Front Disc/Rear Drum Brakes PREMIUM 1 PACKAGE Keyless Start HD Radio Hands-Free Liftgate Satellite Radio Power Door Locks Keyless Entry Remote Trunk Release PARKING ASSISTANCE PACKAGE Automatic Parking Back-Up Camera *Note - For third party subscriptions or services, please contact the dealer for more information. * There's a level of quality and refinement in this Mercedes-Benz E-Class that you won't find in your average vehicle. You can finally stop searching... You've found the one you've been looking for. You've found the one you've been looking for. Your dream car. This 2019 Mercedes-Benz E-Class E 300 is offered to you for sale by Mercedes-Benz Of Honolulu. This Mercedes-Benz includes: SPORT PACKAGE PREMIUM 1 PACKAGE Keyless Start HD Radio Hands-Free Liftgate Satellite Radio Power Door Locks Keyless Entry Remote Trunk Release PARKING ASSISTANCE PACKAGE Automatic Parking Back-Up Camera *Note - For third party subscriptions or services, please contact the dealer for more information. * You deserve a vehicle designed for higher expectations. This Mercedes-Benz E-Class delivers with a luxurious, well-appointed interior and world-class engineering. Just what you've been looking for. With quality in mind, this vehicle is the perfect addition to take home. You can finally stop searching... You've found the one you've been looking for. You can find this 2019 Mercedes-Benz E-Class E 300 and many others like it at Mercedes-Benz Of Honolulu. This Mercedes-Benz includes: NIGHT PACKAGE AMG LINE EXTERIOR 4-Wheel Disc Brakes Front Disc/Rear Drum Brakes PREMIUM 1 PACKAGE Keyless Start HD Radio Hands-Free Liftgate Satellite Radio Power Door Locks Keyless Entry Remote Trunk Release *Note - For third party subscriptions or services, please contact the dealer for more information. * Today's luxury vehicle is not just about opulence. It's about a perfect balance of performance, comfort and attention to detail. This 2019 Mercedes-Benz E-Class is the perfect example of the modern luxury. You can finally stop searching... You've found the one you've been looking for. The Mercedes-Benz E-Class E 300 will provide you with everything you have always wanted in a car -- Quality, Reliability, and Character. Contact Mercedes-Benz Of Maui today for information on dozens of vehicles like this 2019 Mercedes-Benz E-Class E 300. Pull up in the vehicle and the valet will want to parked on the front row. This Mercedes-Benz E-Class is the vehicle others dream to own. Don't miss your chance to make it your new ride. You've found the one you've been looking for. Your dream car. The 2019 Mercedes-Benz exterior is finished in a breathtaking Polar White, while being complemented by such a gorgeous Macchiato Beige/Black interior. This color combination is stunning and absolutely beautiful! Beautiful color combination with Polar White exterior over Macchiato Beige/Black interior making this the one to own! Mercedes-Benz Of Honolulu is excited to offer this 2019 Mercedes-Benz E-Class. This Mercedes-Benz includes: SPORT PACKAGE PREMIUM 1 PACKAGE Keyless Start HD Radio Hands-Free Liftgate Satellite Radio Power Door Locks Keyless Entry Remote Trunk Release PARKING ASSISTANCE PACKAGE Automatic Parking Back-Up Camera *Note - For third party subscriptions or services, please contact the dealer for more information. * You deserve a vehicle designed for higher expectations. This Mercedes-Benz E-Class delivers with a luxurious, well-appointed interior and world-class engineering. Beautiful color combination with Selenite Grey Metallic exterior over Macchiato Beige/Black interior making this the one to own! The Mercedes-Benz E-Class E 300 will provide you with everything you have always wanted in a car -- Quality, Reliability, and Character. This 2019 Mercedes-Benz E-Class E 300 is offered to you for sale by Mercedes-Benz Of Honolulu. This Mercedes-Benz includes: NIGHT PACKAGE AMG LINE EXTERIOR 4-Wheel Disc Brakes Front Disc/Rear Drum Brakes PREMIUM 1 PACKAGE Keyless Start HD Radio Hands-Free Liftgate Satellite Radio Power Door Locks Keyless Entry Remote Trunk Release PARKING ASSISTANCE PACKAGE Automatic Parking Back-Up Camera *Note - For third party subscriptions or services, please contact the dealer for more information. * Pull up in the vehicle and the valet will want to parked on the front row. This Mercedes-Benz E-Class is the vehicle others dream to own. Don't miss your chance to make it your new ride. Beautiful color combination with Polar White exterior over Black interior making this the one to own! You could keep looking, but why? You've found the perfect vehicle right here. This outstanding example of a 2019 Mercedes-Benz E-Class E 300 is offered by Mercedes-Benz Of Honolulu. This Mercedes-Benz includes: NIGHT PACKAGE AMG LINE EXTERIOR 4-Wheel Disc Brakes Front Disc/Rear Drum Brakes PREMIUM 1 PACKAGE Keyless Start HD Radio Hands-Free Liftgate Satellite Radio Power Door Locks Keyless Entry Remote Trunk Release PARKING ASSISTANCE PACKAGE Automatic Parking Back-Up Camera *Note - For third party subscriptions or services, please contact the dealer for more information. * There's a level of quality and refinement in this Mercedes-Benz E-Class that you won't find in your average vehicle. Beautiful color combination with Selenite Grey Metallic exterior over Black interior making this the one to own! This is about the time when you're saying it is too good to be true, and let us be the one's to tell you, it is absolutely true. This 2019 Mercedes-Benz E-Class E 300 is offered to you for sale by Mercedes-Benz Of Honolulu. This Mercedes-Benz includes: AMG LINE EXTERIOR 4-Wheel Disc Brakes Front Disc/Rear Drum Brakes PREMIUM 1 PACKAGE Keyless Start HD Radio Hands-Free Liftgate Satellite Radio Power Door Locks Keyless Entry Remote Trunk Release PARKING ASSISTANCE PACKAGE Automatic Parking Back-Up Camera *Note - For third party subscriptions or services, please contact the dealer for more information. * Today's luxury vehicle is not just about opulence. It's about a perfect balance of performance, comfort and attention to detail. This 2019 Mercedes-Benz E-Class is the perfect example of the modern luxury. This is the one. Just what you've been looking for. Just what you've been looking for. With quality in mind, this vehicle is the perfect addition to take home. What’s more? The E-Class is offered in sedan, coupe, cabriolet, and wagon body styles. Cars.com calls the E-Class Coupe “swift, comfortable and elegant,” and its other configurations are favorites as well. So, whether you want a sleek black coupe, or a seven-passenger wagon, the E-Class delivers. Naturally, the Mercedes-Benz E-Class has a lot of competition, but holds its own easily. Compared to the Volvo S90 and BMW 5-Series, the new E-Class comes standard with an engine that produces more torque. Next to the Lexus GS 350, the E-Class is also the much better choice for Ewa Beach and Waipahu drivers who want a true luxury driving experience. Schedule your test drive today!